Tampa Rays fans can head to Tampa Lee Roy Selmon’s locations and get on board a chauffeured luxury bus to Tropicana Field. It’s only $9.95 roundtrip!!! The hated Yankees are in town Friday, Saturday and Sunday. This is a stunning deal! Why waste money on parking and gas, especially when you can ride in style with an adult beverage in hand on a Paradise Worldwide Transportation luxury bus? 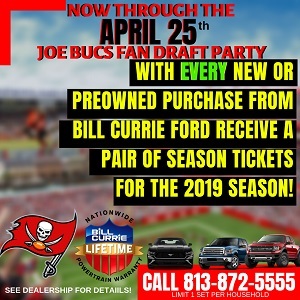 Click on through below to learn more about the best deal in Tampa Bay sports, the No Excuses Tour to Tropicana Field. Find out how nearly 1,000 fans have enjoyed Rays games since 2011.